MH17 was shot down over Ukraine’s eastern Donetsk region on July 17, 2014. Russia calls on Dutch investigators to share data. 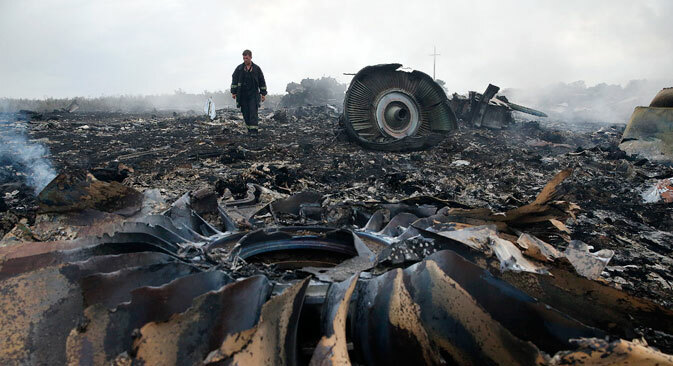 Bilateral exchange of data on the shooting down of Malaysia Airlines Flight MH17 on July 17, 2014 would substantially speed up investigations, Russian Investigative Committee spokesman Vladimir Markin said on July 6. Markin’s statement came after members of the committee and officials from the Russian Prosecutor General’s office met with representatives of the Dutch National Prosecutor’s office. “Representatives of the Russian Investigative Committee have once again reaffirmed their full readiness to promptly provide all necessary assistance to the international criminal investigation of this case to establish the truth regarding the circumstances of this tragedy,” Markin said. “I have to state that transmission of information having to do with the air crash is currently carried out by the investigative committee solely on a unilateral basis,” he said. “The Dutch side does not share with the Russian colleagues data it has itself, although bilateral exchange of data would considerably speed up the course of investigation,” Markin said. “The Investigation Committee … expressed the hope that the materials collected by Russian investigators which were sent to the Dutch side today and which, according to it, were attached to the case would make a major contribution to establishing the circumstances and causes into the MH17 crash,” Markin stressed. Markin added the Ukrainian side is ignoring requests to provide information on the MH17 incident to the international investigative team. “What captures attention is that the official investigation is ignoring numerous requests on the need to provide important data from the Ukrainian side to the joint investigative team such as the primary radar data, the talks of military flight controllers and records of talks of the military sector,” Markin said. The Malaysia Airlines Boeing 777-200ER aircraft was on its way from Amsterdam to Kuala Lumpur when it was shot down over Ukraine’s eastern Donetsk region on July 17, 2014. All the 283 passengers and the 15-member crew died in the MH17 crash.